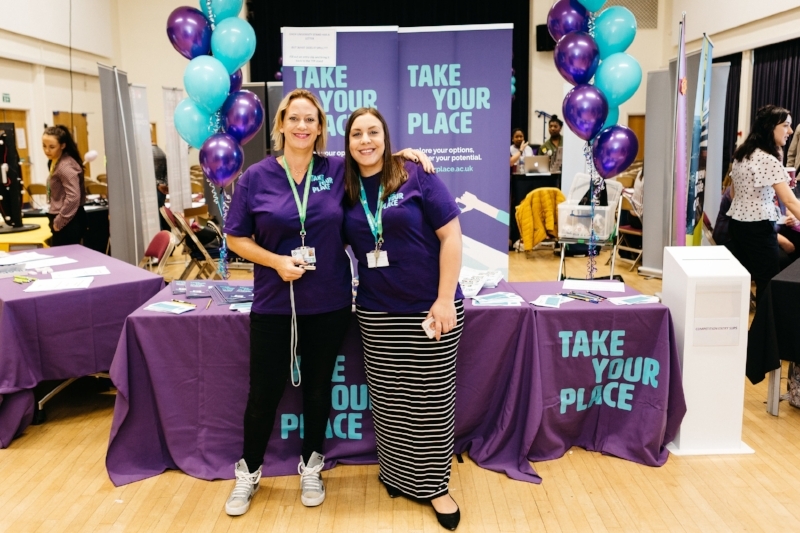 Earlier this week, Peterborough Regional College held an event to tell students about Take Your Place. Activities included a Mash Machine (an “interactive music maker which brings together sound, lighting and video controls into a single user interface”), Virtual Reality, X-Shooter and a photo booth. 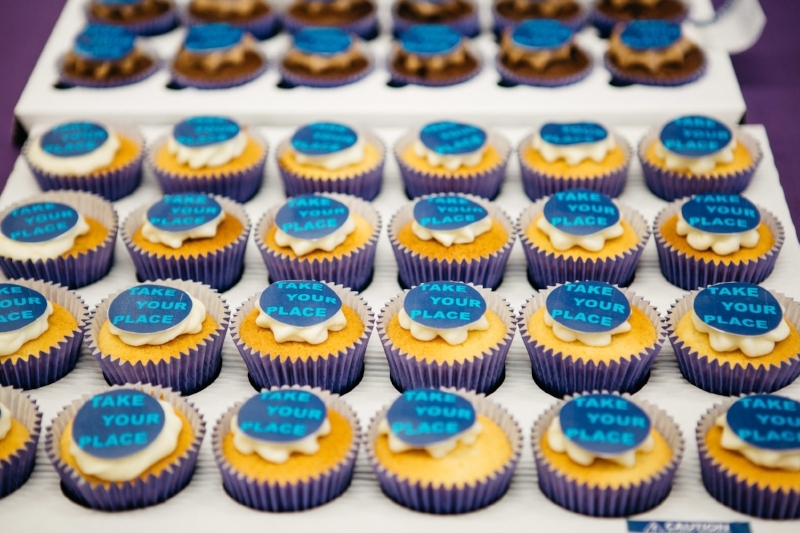 A pizza stand, candy floss and cupcakes ensured the 650+ students who visited wouldn’t go hungry! 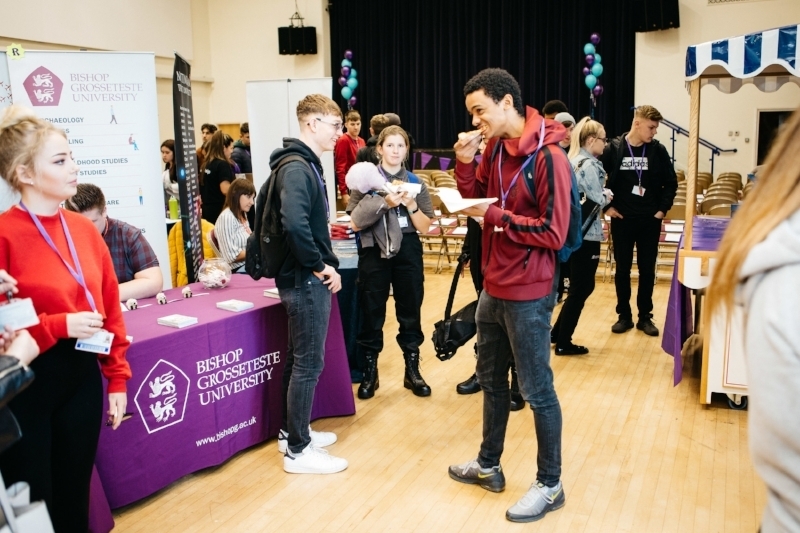 Several university stands gave out information on what they have to offer. Ashley John-Baptiste, BBC broadcast journalist and presenter, gave a motivational talk to 175 students about how he overcame his tough start to life in foster families and children’s homes and went on to study History at Cambridge. 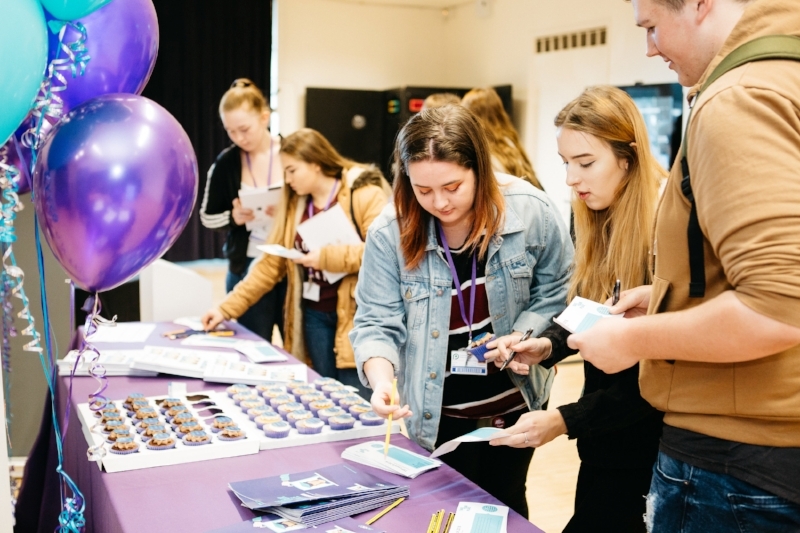 Student feedback was very positive and many commented that he had made a difference to how they thought about themselves and the confidence they have in achieving their goals and aspirations. Thanks Ashley!